However, solar cells do not convert all light to power equally, which has inspired a joint industry-academia effort to develop a potentially game-changing solution. “Current solar cells are not good at converting visible light to electrical power. The best efficiency is only around 20%,” explains Kyoto University’s Takashi Asano, who uses optical technologies to improve energy production. Higher temperatures emit light at shorter wavelengths, which is why the flame of a gas burner will shift from red to blue as the heat increases. The higher heat offers more energy, making short wavelengths an important target in the design of solar cells. “The problem,” continues Asano, “is that heat dissipates light of all wavelengths, but a solar cell will only work in a narrow range. Previously, Asano and colleagues of the Susumu Noda lab had taken a different approach. “Our first device worked at high wavelengths, but to narrow output for visible light required a new strategy, which is why we shifted to intrinsic silicon in this current collaboration with Osaka Gas,” says Asano. To emit visible wavelengths, a temperature of 1000˚C was needed, but conveniently silicon has a melting temperature of over 1400˚C. The scientists etched silicon plates to have a large number of identical and equidistantly-spaced rods, the height, radii, and spacing of which was optimized for the target bandwidth. According to Asano, “the cylinders determined the emissivity,” describing the wavelengths emitted by the heated device. Using this material, the team has shown in Science Advances that their nanoscale semiconductor raises the energy conversion rate of solar cells to at least 40%. Five North American solar start-up companies have been selected to receive further support in developing their technology and moving them closer to market under the SunRISE TechBridge Challenge, which had 56 team entries. Of the five winners, one is Canadian colloidal quantum dot cell developerQD Solar, which will gain support from Greentown Launch acceleration and DSM Partnership/Investment, as well as desk and lab space at Greentown Labs in Somerville, MA, and networking and coaching to accelerate their business and networking in the cleantech community in the Greater Boston area. QD Solar uses low-cost, nano-engineered particles to produce solar cells that can capture wasted infrared light, resulting in a 20% increase in efficiency over conventional solar panels, based on research conducted at the Nanomaterials for Energy Laboratory in the University of Toronto’s Department of Electrical and Computer Engineering. The SunRISE TechBridge Challenge challenged companies to present innovative solutions and new materials that will lower the levelized cost of energy (LCOE) for photovoltaic (PV) systems, including novel materials for existing and emerging high performance PV modules, technologies enabling non-traditional solar deployment, and business models that integrate solar PV with energy storage. QD Solar started life at the University of Toronto and MaRS Innovation, and in March received $2.55 million from Sustainable Development Technology Canada (SDTC). Conventional solar panels waste a large portion of available sun energy because their silicon solar cells can’t capture infrared light energy, a problem that QD Solar set out to solve with their proprietary quantum dot-based solar cells using nano-engineered, low-cost materials that can absorb infrared light. 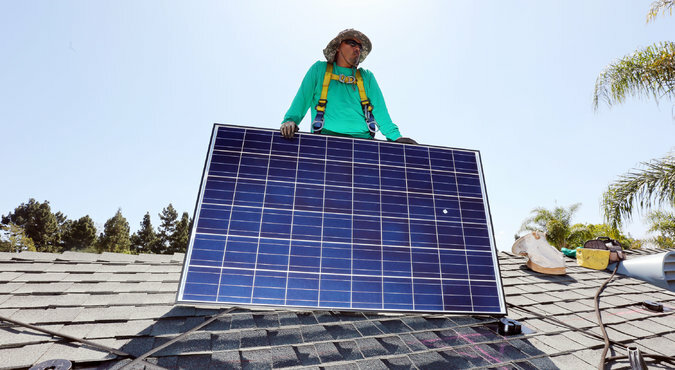 QD Solar CEO Dan Shea is a former executive with Celestica and Blackberry. In 2009, co-founder Edward Sargent and his team at the University of Toronto received a grant from King Abdullah University of Science and Technology (KAUST) in Saudi Arabia to advance their research into colloidal quantum dots for solar power applications. The SunRISE TechBridge Challenge was organized by Fraunhofer TechBridge and the SunRISE Partners, which include Royal DSM and Greentown Labs. The Fraunhofer TechBridge Challenge is an offering of the Fraunhofer Center for Sustainable Energy Systems (CSE), which organizes several industry-sponsored annual challenges to accelerate promising technologies through targeted industry-driven validation projects, including the SunRISE Challenge, Advanced Industrial Surfaces, the Microgrid Challenge, and the Innovation Ecosystem Program. Fraunhofer Gesellschaft is a German applied R&D organization which has 66 institutes and independent research units throughout Germany and 80 institutes and centers around the world. Nicola Bettio, a member of QD Solar’s Board of Directors, manages the KAUST Innovation Fund and anticipates the establishment of the company’s presence in a significant development facility in KAUST’s Research & Technology Park in the near future. Harnessing the power of the sun and creating light-harvesting or light-sensing devices requires a material that both absorbs light efficiently and converts the energy to highly mobile electrical current. Finding the ideal mix of properties in a single material is a challenge, so scientists have been experimenting with ways to combine different materials to create “hybrids” with enhanced features. In two just-published papers, scientists from the U.S. Department of Energy’s Brookhaven National Laboratory, Stony Brook University, and the University of Nebraska describe one such approach that combines the excellent light-harvesting properties of quantum dots with the tunable electrical conductivity of a layered tin disulfide semiconductor. The hybrid material exhibited enhanced light-harvesting properties through the absorption of light by the quantum dots and their energy transfer to tin disulfide, both in laboratory tests and when incorporated into electronic devices. The research paves the way for using these materials in optoelectronic applications such as energy-harvesting photovoltaics, light sensors, and light emitting diodes (LEDs). The researchers found that the rate for non-radiative energy transfer from individual quantum dots to tin disulfide increases with an increasing number of tin disulfide layers. But performance in laboratory tests isn’t enough to prove the merits of potential new materials. So the scientists incorporated the hybrid material into an electronic device, a photo-field-effect-transistor, a type of photon detector commonly used for light sensing applications. Common solar cells made of crystalline silicon can only access roughly half of the total sunlight spectrum for conversion of light energy into electricity. Searching for more effective materials, Chinese scientists have now combined three semiconducting sulfide crystals to a ternary nanostructured photovoltaic system that absorbs irradiation from ultraviolet to near infrared regions. As they report in the journal Angewandte Chemie, the nanorods effectively convert the full-spectrum light energy into electric current. This discovery marks a new level in the development of more efficient solar cells. The photovoltaic material that is most commonly used today is crystalline silicon, but it absorbs sunlight effectively only in the visible region. Other semiconducting materials cover slightly different regions of the solar spectrum, but the most efficient photovoltaic materials would be clearly those that include every region from the ultraviolet to the infrared. Shu-Hong Yu and Jun Jiang and their collaborators at the University of Science and Technology of China in Hefei have now introduced a nanostructured system made of three sulfide crystals. The ternary hybrid material of zinc, cadmium, and copper sulfides effectively absorbs the ultraviolet, visible, and near infrared light, and the segmented node-sheath structure of the tiny rods provides the ideal energy band alignment for an effective accumulation of charge carriers. The basis of this photocollecting system is nanosized rods of zinc sulfide on which crystalline sheaths of cadmium sulfide are deposited like an arrangement of pearls. The zinc sulfide basis provides the UV absorption, while the cadmium sulfide covers the visible light region. As a third component for IR absorption, the scientists chose copper sulfide nanocrystals with copper deficiencies, as this material is known to feature a special type of absorption in the near-infrared region called surface plasmon resonance. “These heteronanorods absorb across nearly the full spectrum of solar energy,” the scientists report. To test the functionality of the nanorods, the scientists measured their performance in a photoelectrochemical water-splitting cell. Upon full-spectrum illumination, the photocurrent response was pronounced, which was a first experimental evidence for the successful design of their photovoltaic material. 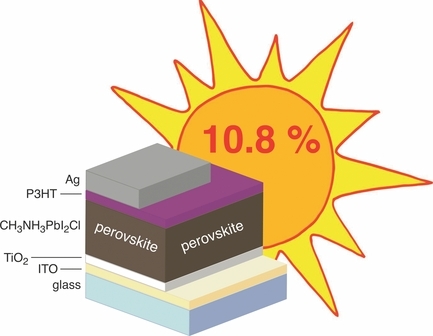 One of the crucial achievements of this work, however, was the correct adjusting of the sensitive heterojunctions that connect the different semiconducting structures to align the energy gaps of the semiconducting materials. “Such a staggered alignment enables the separation of the photogenerated electrons and holes in the ternary hybrid nanostructure,” say the authors. Although further experiments have to be performed, this ternary semiconducting system can be regarded as an important step toward a new generation of efficient solar cells covering the rainbow colors and beyond. Consumers aren’t embracing electric cars and trucks, partly due to the dearth of charging stations required to keep them moving. 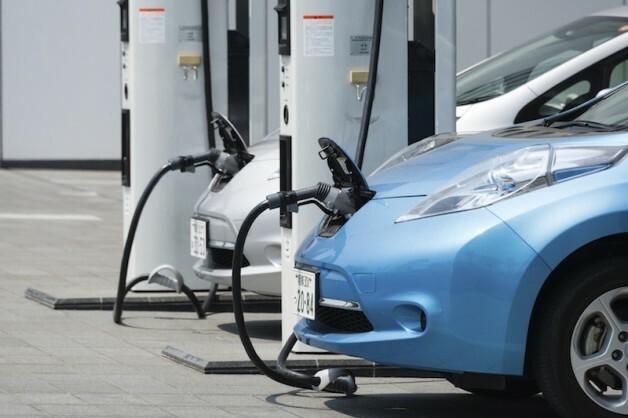 Even the conservation-minded are hesitant to go electric in some states because, studies show, if fossil fuels generate the electricity, the car is no greener than one powered with an efficient gasoline. Charging cars by solar cell would appear to be the answer. But most cells fail to meet the power requirements needed to directly charge lithium-ion batteries used in today’s all-electric and plug-in hybrid electric vehicles. 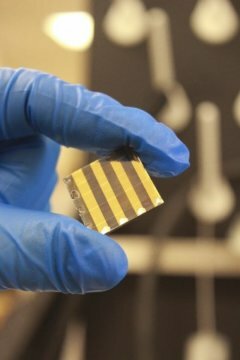 “We envision, in the not too distant future, this is a system that you could have at home to refuel your car and, eventually, because perovskite solar cells can be made as a flexible film, they would be on the car itself,” said Jiantie Xu, who, with Yonghua Chen, is an equally contributing first author of the study. Both are macromolecular science and engineering research associates in Case School of Engineering. The above post is reprinted from materials provided by Case Western Reserve University. Note: Materials may be edited for content and length.